Make polluters pay! 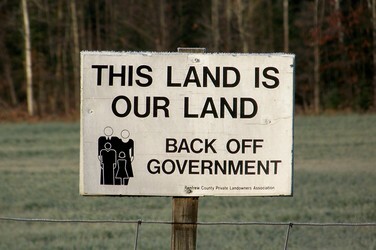 Back off government! A chapter from Taking Ownership: Property Rights and Fishery Management on the Atlantic Coast, a collection of essays edited by Brian Lee Crowley explaining the theory behind rights-based fishing and reviewing practical experience with tradeable quota systems and community ownership in various jurisdictions. In this chapter, Elizabeth Brubaker examines the ways in which property rights provide individual and community fisheries owners with both the legal tools to fight pollution and the economic incentives to reduce fishing pressures, implement conservation measures, and enhance stocks and their habitats.